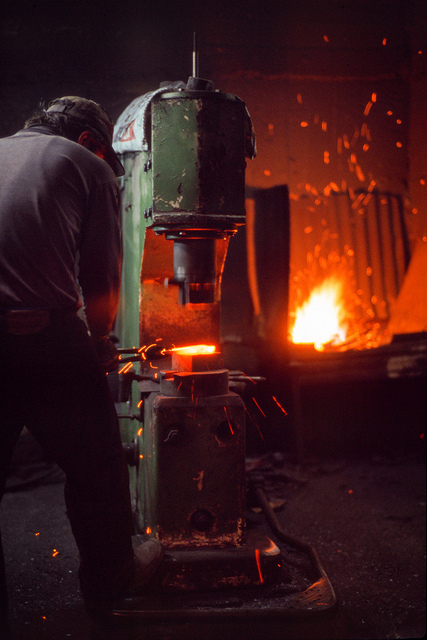 Swedish company Kihlberg Steel AB specializes in forging a wide variety of parts. The open-die forging, ring rolling, and hammer forging that takes places inside of the factory is fascinating, even if the footage of it all taking place isn’t the best quality. One would have reason to believe copious amounts of extremely hot, huge metal pieces would require more safety equipment that what is shown in the video, but it appears the Swedes live by their own set of rules. However, the one thing we can probably all agree on is how impressive it is to watch a massive pneumatic hammer do its thing.